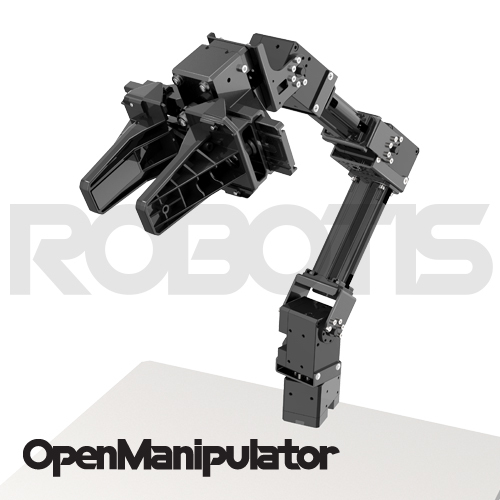 This product is a compact version of OpenManipulator based on ROS. 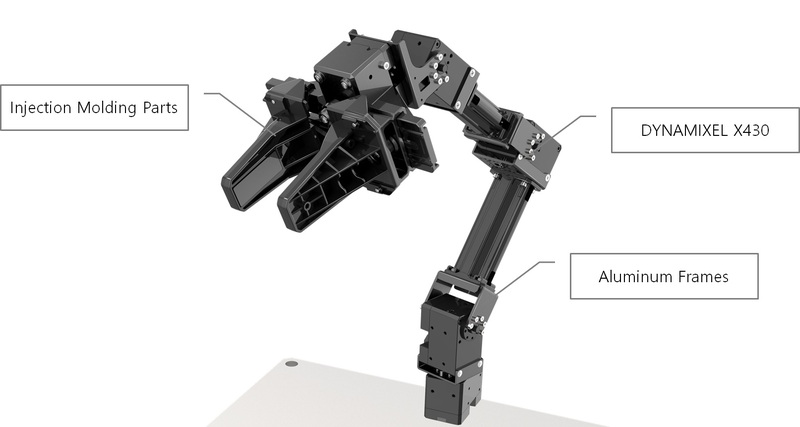 It has a high payload as DYNAMIXEL XM-430 model is applied. Easy to use with PC or mobile platform such as TB3 Waffle Pi. You can freely select and use either PC or Controller e.g. OpenCR. 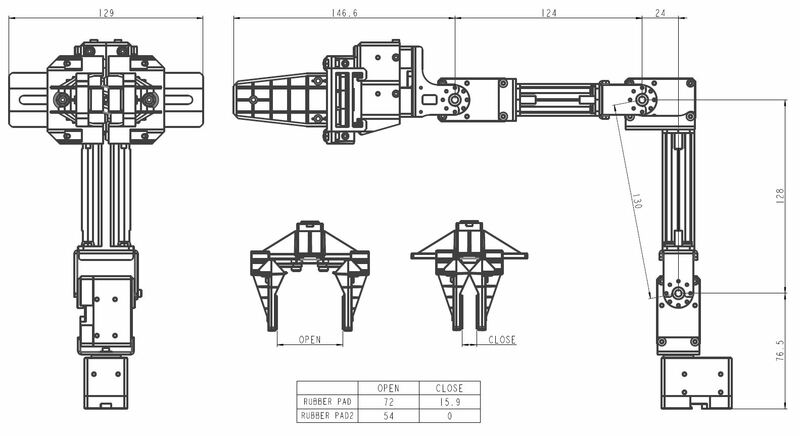 Provides a variety of open source software as well as 3D drawings and CAD data for research and development. DYNAMIXEL, power supply, and controller are not included. Compatible with TB3 controller and power. 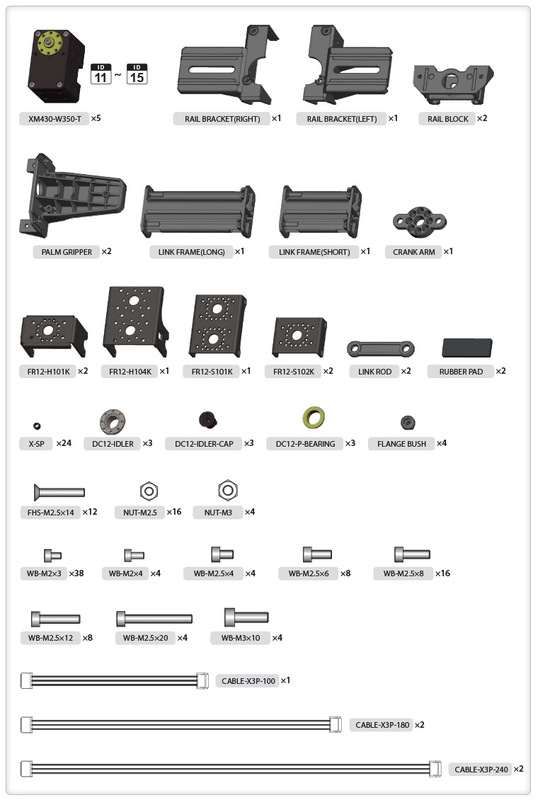 The necessary idler set (HN11-I101 Set) is included in case you would like to use DYNAMIXEL XL430 as a hinge.